A chapter (Chapter 11) on wind energy systems has been added for better understanding of the use of electric machines in their generating mode of operation. The concept of sensorless drives is presented in Chapter 6. Coverage of permanent magnet motor drives and brushless dc drives has been updated in Chapter 6. The coverage of solid-state devices, such as Power MOSFETs, IGBTs, and GCTs, has been updated in Chapter 10. Neutral point clamped (NPC) inverters are gaining popularity for high-power and high-voltage applications. The concept of NPC inverters is presented in Chapter 10. The book presently has a large number of problems and examples. Additional problems and examples have been added to chapters and sections most frequently assigned. The book is suitable for both electrical engineering and non-electrical engineering students (e.g., Mechanical Engineering students). 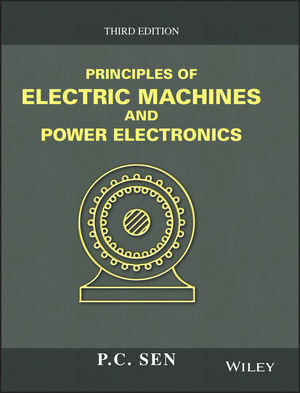 Coverage of both electric machines and power electronics is integrated in one volume.